Javi Gracia’s second year as coach left a great taste on a sporting level, boasting an excellent position in the League rankings and increasing the record number of consecutive seasons in the elite to eight. 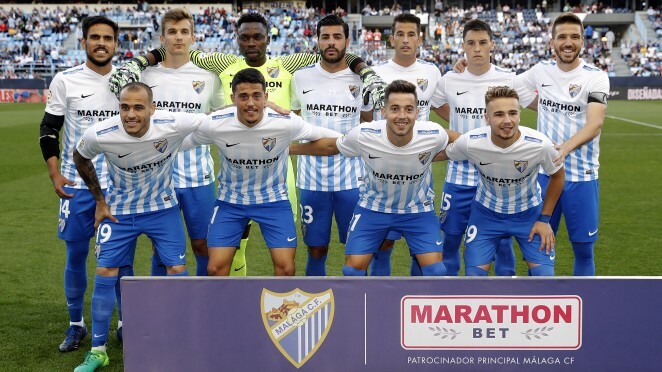 The start to the competition wasn’t straightforward as Málaga didn’t clinch their first victory or indeed their first goals, until the 7th League match of the season (3-1 against Real Sociedad at La Rosaleda, with a hat trick from Charles). The results weren’t coming and the team was in the relegation zone. However, before the end of the first round, Gracia’s men secured four victories, re-emerging in the table. Symptomatically, following elimination from the Copa del Rey against Mirandés. 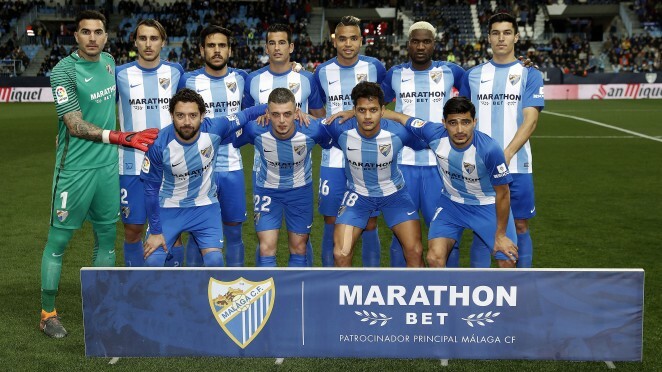 Málaga were consolidated in the middle of the table, standing out for their style of football with great tactical rigour, which together with an impeccable defence, made rivals extremely uncomfortable. Particularly against the two giants of the competition, FC Barcelona and Real Madrid. Gracia had a strong team, firstly with Kameni, until his injury, and later Ochoa, who brought a lot of security to goal, to the point of breaking MCF’s record in the First Division of fewest goals conceded (35 in 38 games). At the back, Rosales, Albentosa, Weligton and Torres showed great regularity. Camacho was the stronghold in midfield, together with Recio, and on the wings, Juanpi excelled on the right, and ‘Chory’ Castro unsettled rivals with quality. Upfront, the Charles-Cop duo accumulated an impressive number of goals. 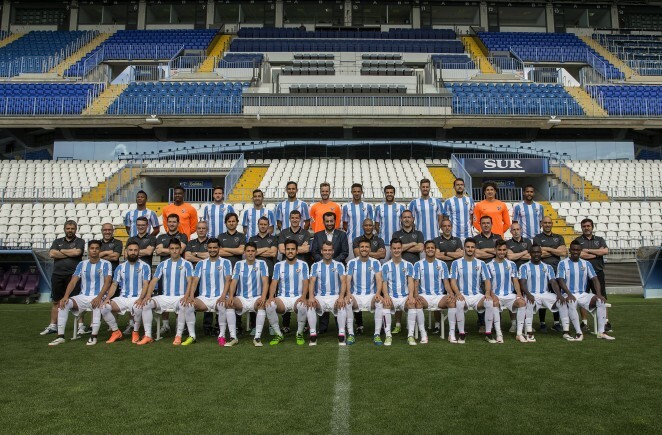 Málaga CF ended LaLiga 2015/16 in 8th place, matching the third best ranking in the history of the Club in the First Division. Charles with 12 League goals, was the Blue and Whites’ top striker. Javi Gracia (coach), Marcelo ‘Gato’ Romero (assistant coach), Juan Solla and Enrique Ruiz (physical trainers), Iñigo Arteaga (goalkeeping coach), Ibán Andrés and Luis Martínez (technical assistants); Juan Carlos Pérez Frías (doctor), Marcelino Torrontegui (massease), Fernando Lacomba and Luis Barbado (physiotherapists), Hugo Camarero (physical adaption trainer); Carlos López (representative), Victoriano Giráldez (pitch representative) and Miguel Zambrana and Juan Carlos Salcedo (equipment managers). GOALKEEPERS: 1 Kameni, 13 Ochoa and 27 Aarón. DEFENDERS: 2 Albentosa, 3 Weligton, 4 Flávio, 4 Cifu, 15 Angeleri, 15 Ricca, 18 Rosales, 19 Boka, 21 Filipenko and 23 Miguel Torres. MIDFIELDERS: 5 Chory Castro, 6 Camacho, 7 Juankar, 8 Espinho, 10 Horta, 11 Atsu, 12 Tissone, 14 Recio, 16 Mastour, 17 Duda, 22 Tighadouini, 28 Juanpi, 30 Sergi Darder, 31 Pablo and 39 Ontiveros. FORWARDS: 8 Uche, 9 Charles, 11 Amrabat, 20 Duje Cop and 24 Santa Cruz.